A satin smooth finish and many canal like lines on every surface are the main features of this piece. 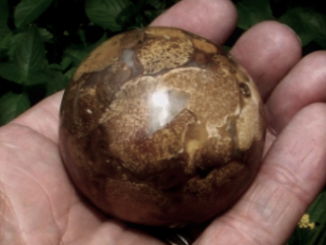 Jasper is one of the earliest stones to be collected and used as ornaments by early man and is still treasured to this day. Multiple shades of blue with splashes of white on the bottom half are inviting as an old pair of jeans and just as comfortable in any vehicle you wish to use it. 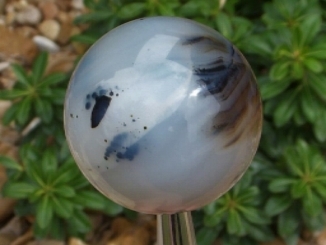 This gemstone is usually found with a mixed matrix of blue colors. other mixes of colors are found. Another source was discovered in China in 1993. 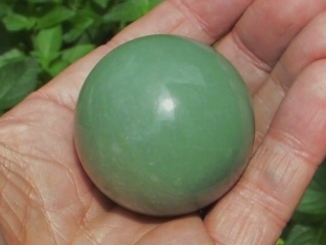 Often mistaken for jade because of the color and buttery finish, this gemstone is different but equal to jade in beauty. 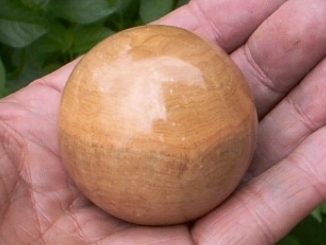 It can be found in a few other colors, all of which exhibit a similar inner glow and fine grain. 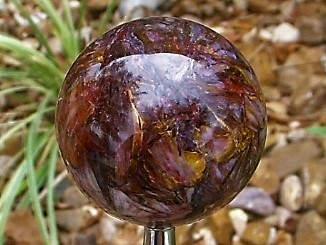 This is highest quality pietersite, just on fire with gold iridescent flashes in a burgandy crystal background. 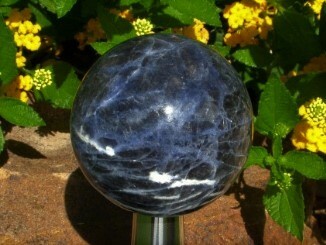 Found in very few places on earth, this stone is limited and even more rare in this quality. The photo doesn't do it justice. From the famous quarries in Italy near the town of Carrara, this marble was raw material for the architecture and statues of ancient Rome. 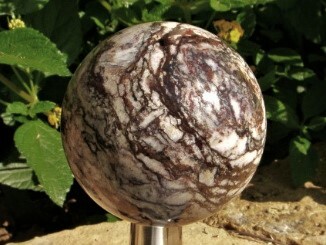 This is a large shift knob that has a soft glow and a satin finish tipical of marble. 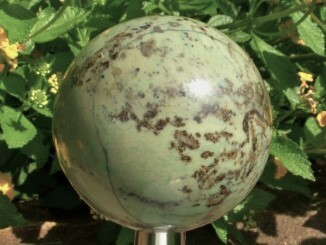 Jasper usually shows re-healed stress cracks caused by movement events over time. This particular gemstone sat undisturbed exactly as it was originally formed layers by layer until found, cut, polished and presented here. This deep colored gemstone comes from India. It has flashes of green that change constantly with the play of light. 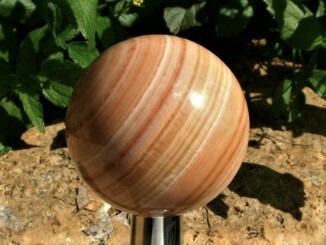 This knob is a classic size that would be a perfect, just right design touch in a new car or a classic rod. One of the earliest gemstones used for ornamentation by early cultures, jasper was probably first discovered in stream beds where the tumbling action of water and the wet shine encouraged further shaping and polishing by man. 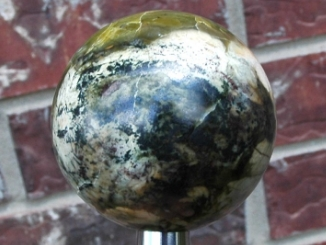 Here are two fossils combined into one orb to create an exclusive, unique shift knob. 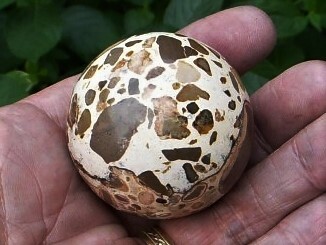 You can plainly see the agatized fossil wood grain and the cell structure of the bone fossil inlayed on top. Great age combined with great beauty. Jumbo size, this unique type turqouise is named after the turtle shells that it resembles. A big patch of yellow/green is on top, with ivory and moss green all around the sides. The mine where this is from is in the American southwest. The crosshatch Widmanstatten pattern is your assurance of a genuine iron meteorite. 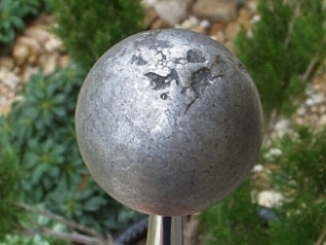 This can only be formed in 0 gravity as the molten iron cools over millions of years in total vacuum. The pattern can't be reproduced on earth. 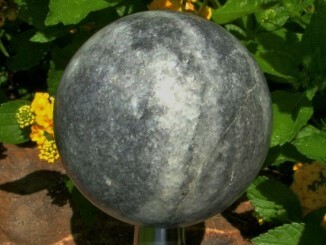 Planet Core #A7...........4 Figure Offers? 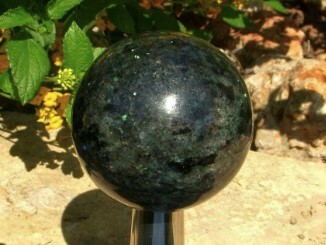 Green is the most usual color of this gemstone but other colors are also found. 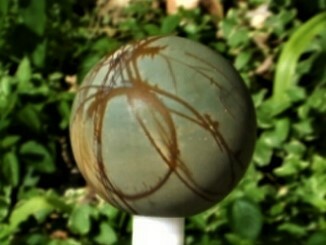 Note the size listed because this is a larger shift knob and really fills the hand. Found in a few places around the world, this example came from Peru. 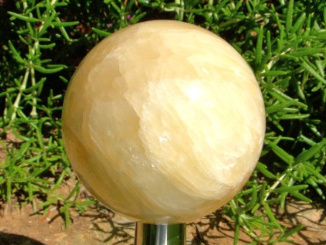 Crystals of warm yellow that are both cloudy and translucent at the same time places this shift knob on a level equal with other gemstones with more exotic sounding names. The grain is slightly tilted to best show the crystals. Wood is nice but gemstone takes it to a whole 'nother level. There's no varnish, no glaze, just a flawless polish on this honey gold gemstone. Mother Nature's fine art, that she created layer by layer in what mimics wood..... only better! How fitting that this gemstone comes from Peru, where the Jaguar forests are found. 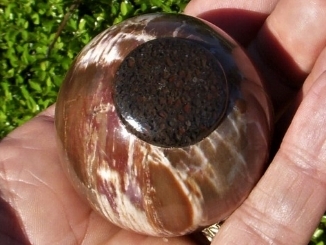 First the brown jasper was formed, then broken into rubble by tectonic activity and reformed again with the lighter colored background. 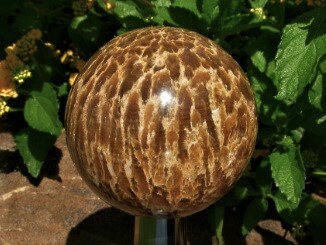 Caramel, brown and cream in a stacked pattern create an unusual look to this gemstone shift knob. It was formed in the hot mineral springs of the west over long ages of time. 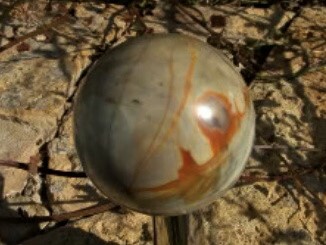 It is named as "Spirit Stone" by our native Americans. This has a foggy, translucent quality so you can peer deep inside and see the mysterious dark phantoms inside. The polish is exceptional and glass smooth. It vertually glows with the warmth and beauty of opal. It's jewelry for your car! A nice mix of browns and tans gives this piece the warmth of wood but ten times better. This is a classic example of Jasper that has been brecciated into rubble and then rehealed over long ages with new Jasper material.